If the world is a stage and we are all players, then that means we must all simultaneously be the protagonists of our own stories, right? 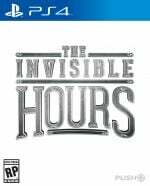 Look beyond the crude clichés and there’s a point to that opening sentence: The Invisible Hours exposes what it would be like to act as a fly on the wall in a house where every inhabitant has a secret to hide. What makes Tequila Works’ murder mystery such an engrossing fictional experiment is the way that it’s choreographed: every character has business to attend to, and it’s up to you who you follow. 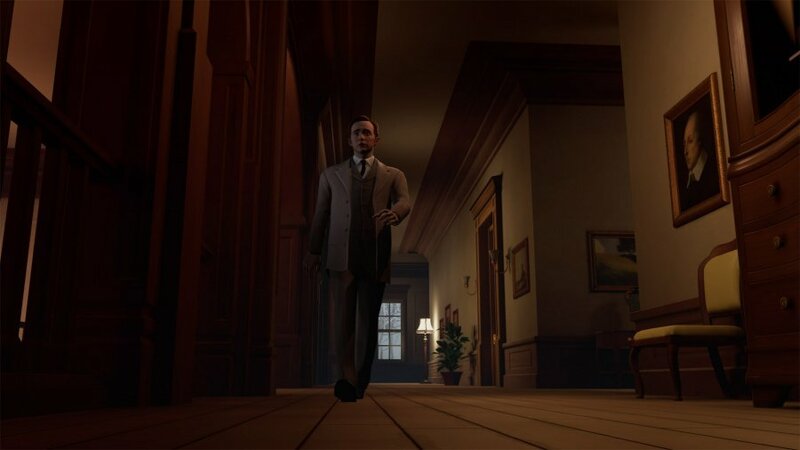 Swedish detective Gustaf Gustav is the first character you’ll meet, as he arrives at the mansion of famed inventor Nikola Tesla mere moments after his murder. 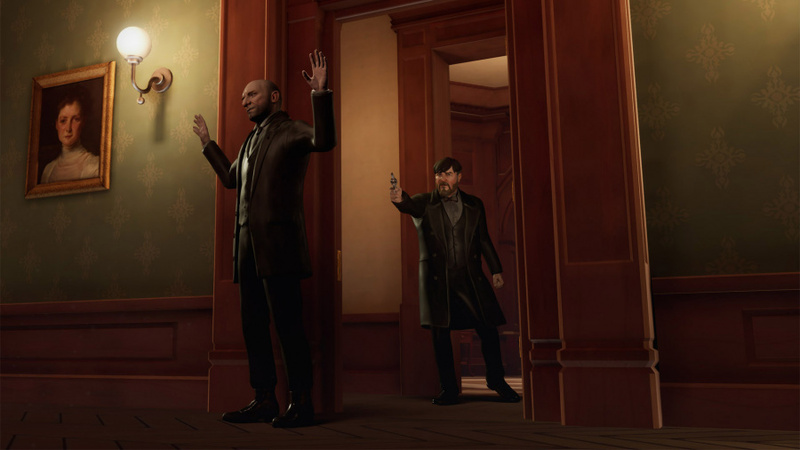 The story then snowballs from there: suspects such as Thomas Edison and Sarah Bernhardt are interrogated, and you’re free to witness whichever story you fancy. But the key is that you can only be in one place at any given time; just because you’re in the dining room with ex-con Victor Mundy doesn’t mean that there isn’t an argument taking place upstairs. As such, you’ll need to play through the 90-or-so minute span of time over and over in order to piece together the full picture. It’s by doing this and following the stories of the other characters that the full extent of the plot will be revealed: why was the blind butler’s jacket wet? Who put poison in a bottle of whiskey? And just who did kill Tesla? The overall quality of the writing is excellent; the fact that we were still stumbling upon shocking revelations on our fourth or fifth run is testament to the story-telling. And it all slots together so well: there are a handful of awkward moments where characters will linger on the spot waiting for their next cue, but generally all of the overlaps are exceptional. Because so much of the game relies on repetition, you can fast-forward and rewind scenes that you’ve already seen. And the beauty is that once you know where all of the revelations fall into place, you’ll find yourself searching for the subtle tells that you didn’t spot first time around. It all fixes back together so perfectly that you truly feel like you exist within a living, breathing space. 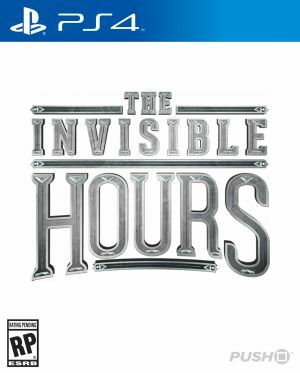 And this is where PlayStation VR comes in: while it probably would have been possible to deliver this game on a standard television screen, the use of virtual reality creates the illusion that you really do exist in the world with its cast of famous characters. The resolution is pretty poor in the headset and the animations can be bad, but it still manages to be an immersive experience. The sound design helps with this: conversations trickle down hallways and driving rain batters the windows of the house. It’s all rather immersive, and the voice acting on the whole is very good as well. Throw in a bucketload of collectibles that actually add to the lore and give you an excuse to explore, and this is a very well-conceived package. It’s the unique way in which individual stories overlap that makes The Invisible Hours such a great game. You’ll need to replay this story multiple times over in order to uncover all of its secrets, and with each run you’ll come to appreciate its choreography more and more. 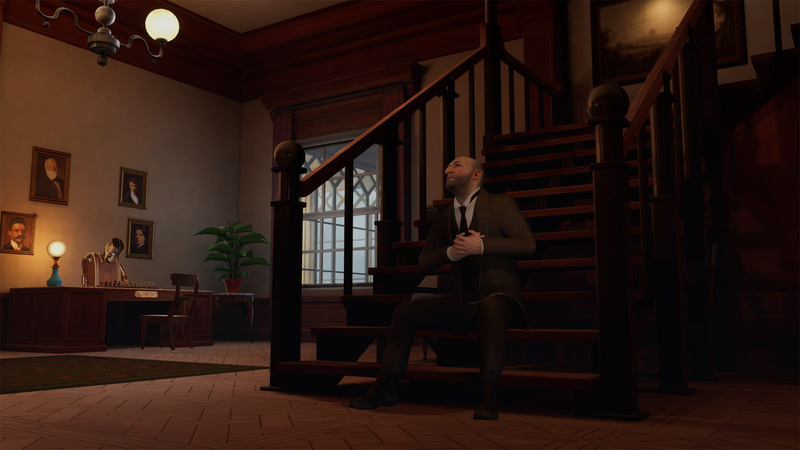 Existing inside a living, breathing world with famous historical figures like Thomas Edison is what virtual reality was made for, and the fact that the fiction is able to deliver shocks with such frequency is testament to the quality of the story-telling on display. Didn't really know anything about this game so it's a nice surprise that I'll definitely be picking up. Is it reasonably priced? Think I'd be looking to get it for under £30. More VR games need to think outside the box like this. Bit sick of all the first person horror games. @Dange $30 in the US so it should be £30 or less. Thanks for the review.Glad to see its got a high score because I have been really looking forward to this! This sounds absolutely amazing, and I will definitely purchase it as soon as I can! Though I'm afraid it's going to turn out to be one of those titles that I really want to want to play, but never get around to - "but I'm sure glad I supported the devs of such a unique game"
@Dange Yeah, it's generally either cockpit mech games or horror games, isn't it? I really appreciated the unique nature of this one, too. Wouldn't mind playing it but own a PSVR does it need to be played with it or can you play it with a controller? @Pepz347 You play with a DualShock 4 but it requires the headset. @get2sammyb Sorry if this a silly question but does it have a traditional ending? Or do you just play it through enough times until you're satisfied with the story you've gleaned from it? @bezbot and @get2sammyb you may be interested to know that it's actually £35 even though it's only $30. Seems a little unprecedented that. Unless it's a mistake. Was expecting it to be cheaper but stumped up £35 for it regardless!! Loving it so far. Just finished Chapter 2. Taking each chapter slowly and following every character before moving on to next chapter!! Think i've developed an unhealthy obsession with lil Miss Bernhardt. Some of the positions/poses she takes are somewhat ... um ... advanced! !